MJ, when I saw the title of your post, that song came immediately to mind! So funny that you posted the lyrics! 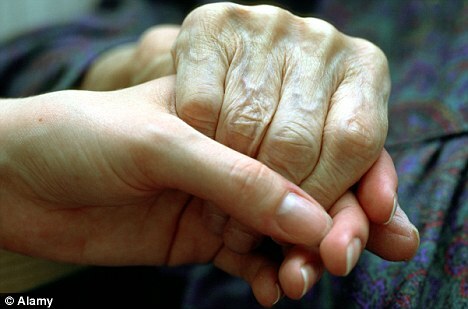 Love the pictures… I read once that we don’t realize how much a touch means to an elderly person. I’m so glad you “get” my reference. We’ve been spending quite a bit of time with my elderly father-in-law, both in person, on the phone and via email, and that has left me thinking of others I know who don’t have anyone to “check” in on them. 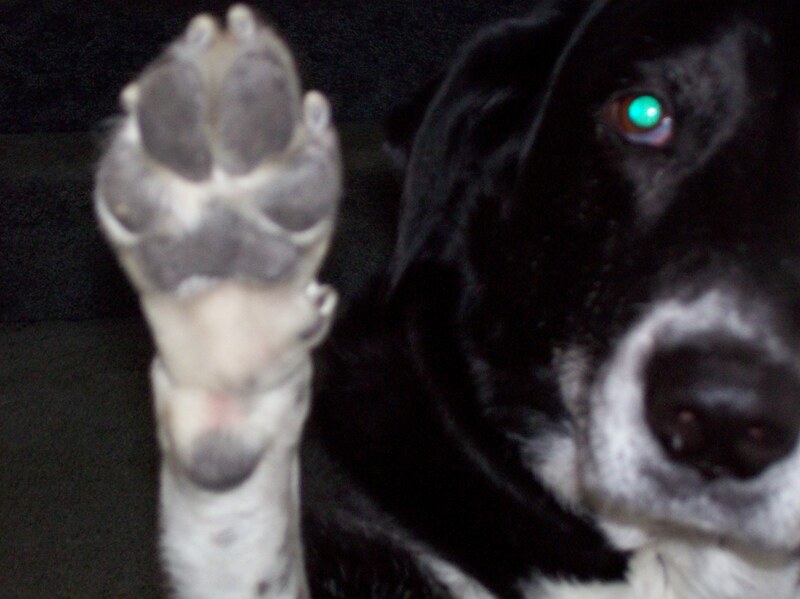 And that’s a favorite picture of Frankie giving a “high paw” to all :). Give a little bit indeed! How precious. How paw-fect, as well! Great post, MJ. You are able to communicate the most simple message in the most beautiful way. That’s what I love most about your blog! This song is now wonderfully stuck in my head for the day. 🙂 I love the hands and the paw “high 5”. That’s cool. Frankie was getting his picture taken and gave me a high paw at the last minute… perfect for this post. I love that song, always have, always will. Yes, we need to be more giving and as the lyrics say, we need to be willing to see the need first. Excellent post. I think seeing it is half of the battle, yes? Ahhh. Supertramp. Great song from a great album. Love the paw photo. Wonderful Sunday night music, isn’t it? He’s a master. A couple in their 80’s called me from Hobby. They were passing through, thought of my mother and tried to give her a call. I told them to keep trying. They called back and still no answer. I sent my brother over to check on her and no car in the driveway. She was out and about. Later we connected…she wondered what all the fuss was about…she was at a student teacher meeting…in her 80’s and still supervising student teachers! Sheeesh! I love it! And I love that they thought to check in on her and worried enough to call you. I wonder if the next generation will think to do such things? I sure hope so. Seems perfect with the animals. All of mine are just circling through my head. Thanks for the visual! I love this song and have the Supertramp version. Great pictures too. Me too .. for he was the singer with Supertramp .. both .. singular and full on orchestra are just fantastic, IMO. I need to stop taking photos of him; he’s getting rather demanding of late. I could name that song in 3 notes…there is so much power in a gentle touch. I have heard that people take public transportation just so they can have human interaction. There is something to be said about a genuine smile and a warm handshake. They say welcome, I am glad you are here! Great message, MJ. Love that your dog wanted to participate! Ah, thanks for the reminder of a great song! So sweet — great song, pictures, thoughts. You’ve made me smile tonight!